Nick Townsend’s season is over after suffering a hand injury in training. The young goalkeeper has broken a bone is his hand and is understood to be out for four-six weeks as a result. And with just a month left in the current Championship campaign, Townsend’s season has come to a premature end. It is believed the injury was sustained after a training ground incident with another player. The shot-stopper hit out at the club over his lack of game time this season, despite reassurances that he would play - either at Oakwell or on loan somewhere else. Townsend is out of contract at the end of the season and the Reds’ defeat to Millwall could be the last time he wears a Barnsley shirt. The player is still waiting to hear whether or not he has a future at the club. Townsend joined the ranks at Oakwell in 2015 after leaving boyhood club Birmingham City. However, he has failed to make a starting spot his own - playing second fiddle to number one Adam Davies during his stint in South Yorkshire. He has played just 18 games in two-and-a-half years at the club and is desperate for regular playing time next term. Meanwhile, former player Bobby Hassell has urged supporters to get behind Weston Park Day on Saturday. 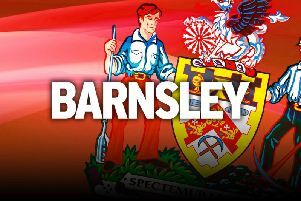 The charity cares for over 2,300 patients in the Barnsley area and bucket collections will be in operation for Sheffield United’s visit. Former custodian Patrick Cryne was looked after during his battle with the illness.